Located in the northeastern United States, New Jersey is the second wealthiest and the eleventh most populated U.S. state. Part of both the New York City and the Philadelphia metropolitan statistical areas, The Garden State is home to 8.7 million residents, many of whom commute to these cities for work. If you’d like to make New Jersey your next home, we’re giving you the 50 safest cities in the state. Related: Check out our New Jersey Public Records guide. Our list was compiled based on FBI violent crime stats and proprietary BackgroundChecks.org research data. Rates are normalized per 100,000 residents with the state average being 261 for violent crime and 1,734 for property crime. This is calculated by taking (# of crimes/population) * 100,000. 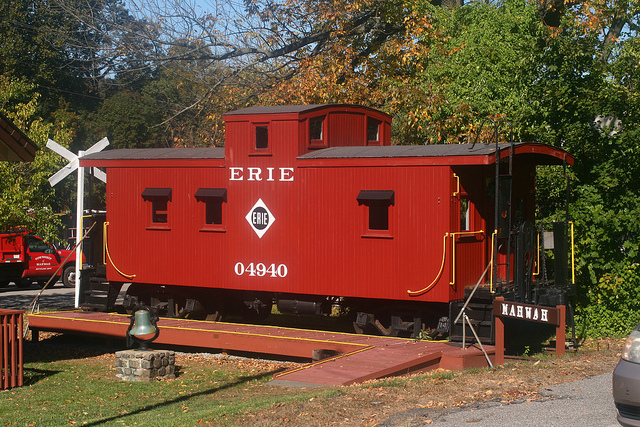 Located in Somerset County, Warren is a township that is home to 15,300 residents. The township contains several unincorporated communities, is the site of the U.S. headquarters of Chubb Insurance, and has been named by CNNMoney on its list of Best Places to Live. Warren is the safest place to live in New Jersey, with a violent crime rate of 6.5 and the chance of being affected by property crime here just .08%. 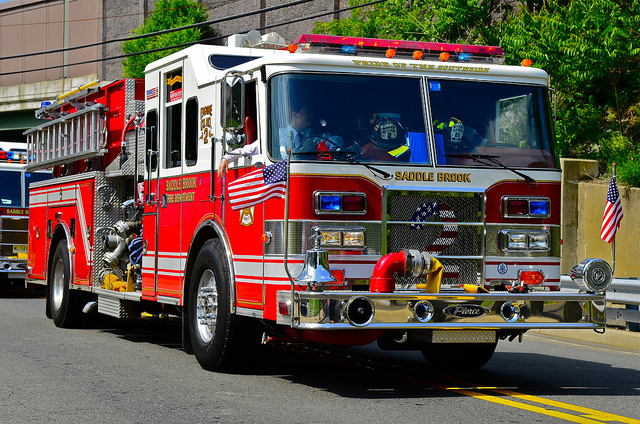 A township in Bergen County, Saddle Brook has a current population of 13,600 residents. 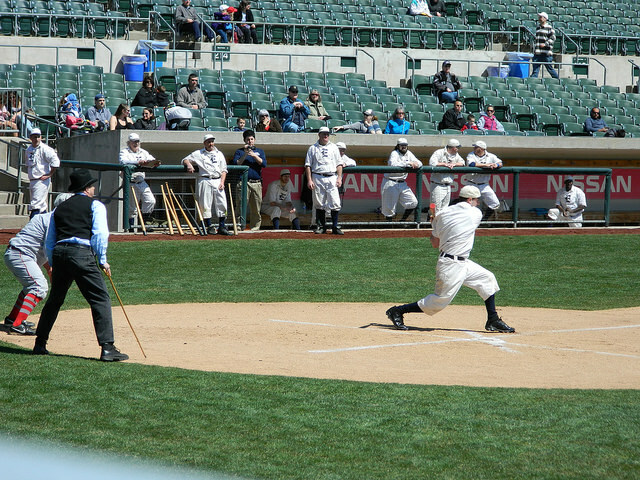 Within easy reach of Newark and New York City, the township has a rich history and is served by the Saddle Brook Public School District. This is also a safe place to call home, with a violent crime rate of 7.2, and the chance of being involved in a property crime here at 2.2%. 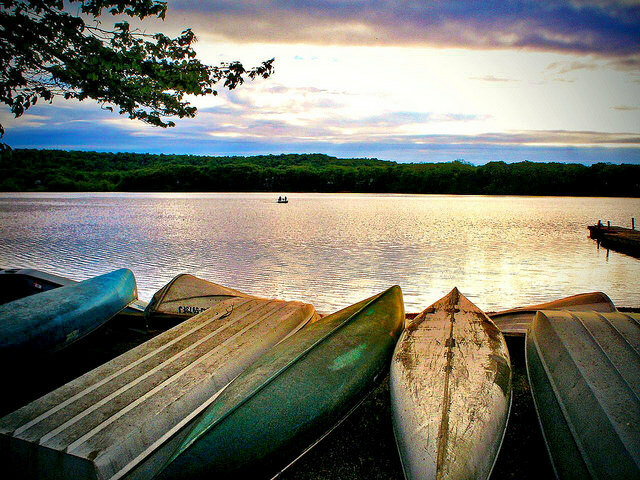 Located in Morris County, Chatham is a township that is home to 10,400 residents. 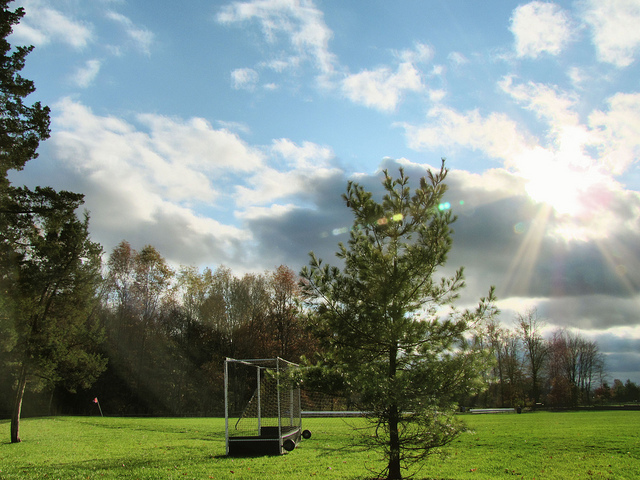 This residential community is just 25 miles west of New York City, has well-performing schools, and wide open forested spaces. Another safe place to live, Chatham’s violent crime rate is 9.5, and residents have a .02% chance of being affected by property crime. A township in Gloucester County, Woolwich has a current population of 10,200 residents. The township is home to several unincorporated communities, as well as two wineries and several historic sites. The violent crime rate in Woolwich is 9.7, and residents have a .06% chance of being involved in a property crime. Located in Sussex County, Sparta is a township that is home to 19,700 residents. A former mining community, many of the residents are now commuters and the township is served by its own school district and emergency services. The violent crime rate here is 10.1, and residents of Sparta have a .09% chance of being affected by property crime. A township in Bergen County, Mahwah is home to 25,800 residents. The name is derived from the Lenape word for “meeting place”. 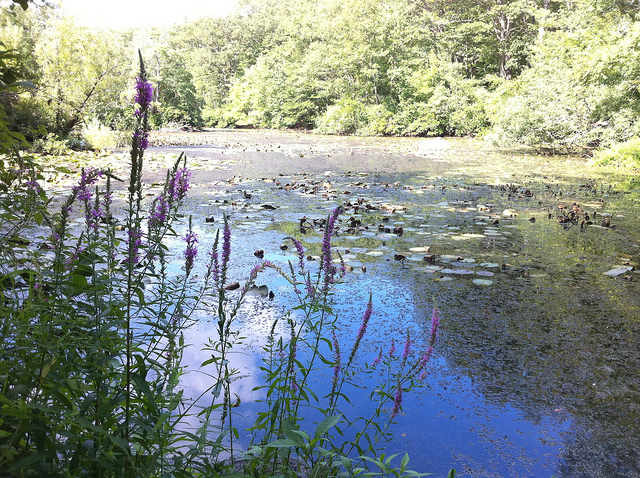 The township is 30 miles from New York City and is the site of several state and county parks, as well as a portion of the Ramapo River. The violent crime rate here is 11.5, and the chance of being involved in a property crime in Mahwah is just .04%. 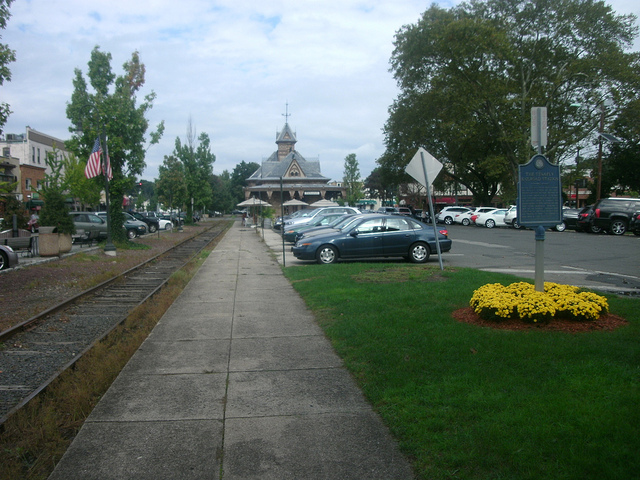 Located in Morris County, Denville is a township that is home to 16,600 residents. Considered the hub of the county, there are several unincorporated communities here as well as eleven named bodies of water within the township. Considered a safe place to call home, the violent crime rate in Denville is 11.9, and residents have a .09% chance of being affected by property crime. Montgomery is a township in Somerset County that is home to 22,200 residents. 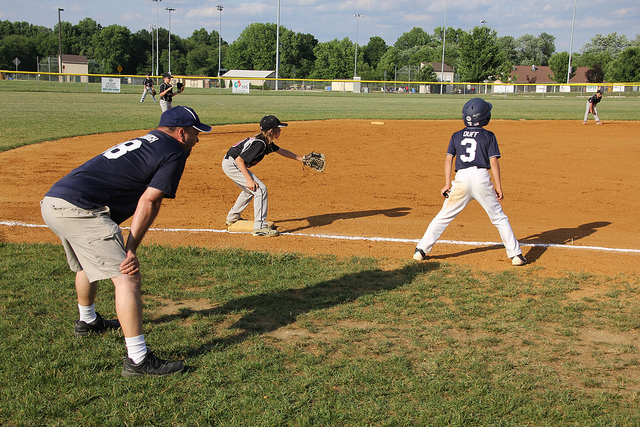 Its proximity to Princeton has made it one of the fastest growing townships in the country and the community operates several large parks for its residents. The violent crime rate in Montgomery is 13.4, and residents here have a .05% chance of being involved in a property crime. A township in Hunterdon County, Raritan is home to 22,100 residents. 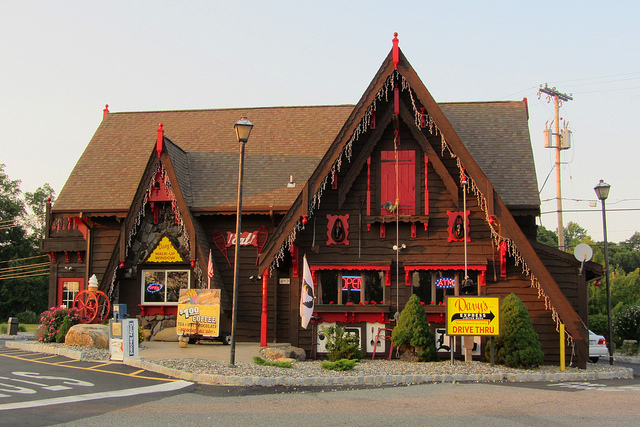 Established in 1838, the community’s name is derived from a Lenape Native American tribe and the township holds over a dozen unincorporated communities. Another safe place to live, the violent crime rate here is 13.5, and the chance of being affected by property crime in Raritan is .08%. Located in Union County, Berkeley Heights is a township with a current population of 13,100 residents. The township is home to the unique community of Free Acres as well as the Murray Hill Bell Labs headquarters and L’Oreal USA’s headquarters. The violent crime rate in Berkeley Heights is 15, and residents have a .07% chance of being involved in a property crime. A township in Morris County, Randolph is home 25,700 residents. 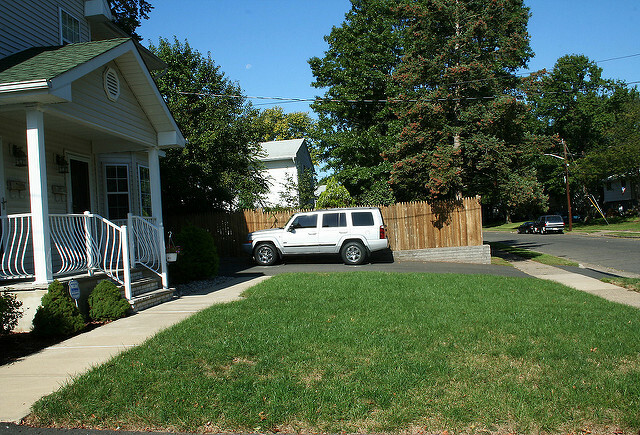 Considered a suburb of New York City, the community is within reach of four rivers and is a part of the New Jersey Highlands. Living here is a safe choice, with a violent crime rate of 15.4 and the chance of being affected by property crime in Randolph just .08%. 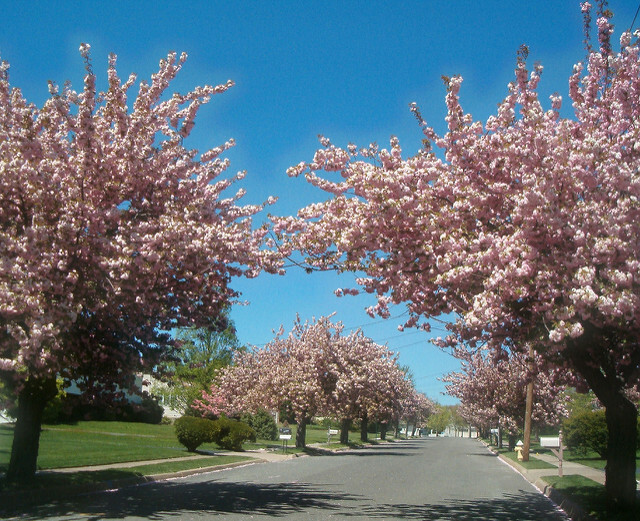 Located in north Essex County, Cedar Grove is a township that is home to 12,400 residents. Named for the trees covering its valleys and hillsides, the community is home to a half-dozen parks and recreation areas for residents. The violent crime rate in Cedar Grove is 16, and the chance of being involved in a property crime here is just .07%. A borough in Union County, New Providence is home to 12,100 residents. 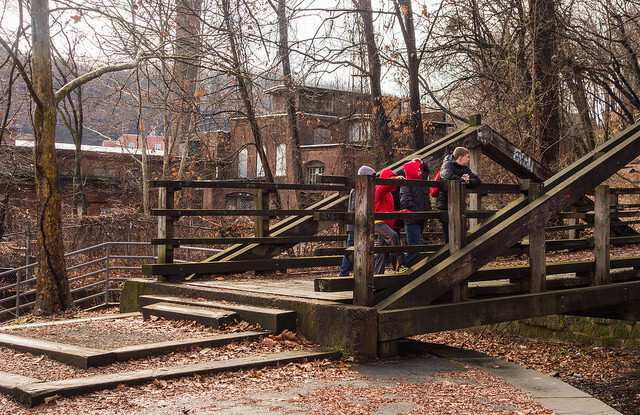 Located on the Passaic River, the community has some of the top schools in the state and remains a semi-dry town, with no bars or restaurants permitted to sell alcoholic beverages. The violent crime rate here is 16.3, and residents of New Providence have a .06% chance of being affected by property crime. 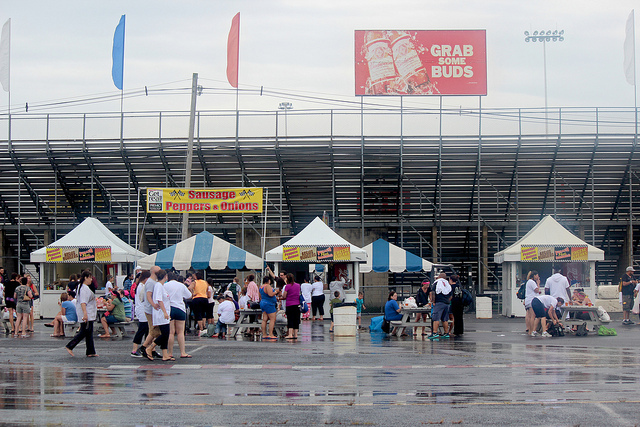 Wanaque is a borough that is home to 11,100 residents. 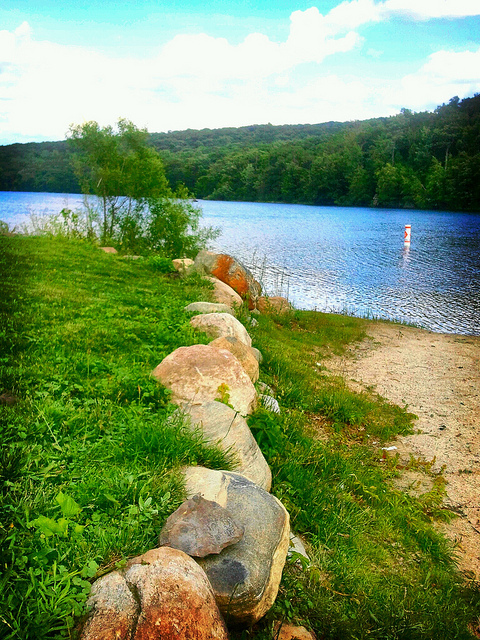 Located in Passaic County, the community borders the Wanaque Reservoir and encompasses 9.2 square miles. Another safe place to call home, the violent crime rate here is 17.9, and residents of Wanaque have a .09% chance of being involved in a property crime. 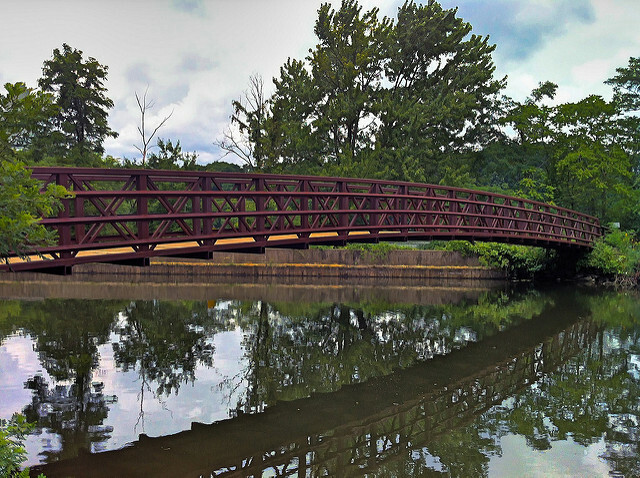 Located in Bergen County, New Milford is a borough that is home to 16,300 residents. 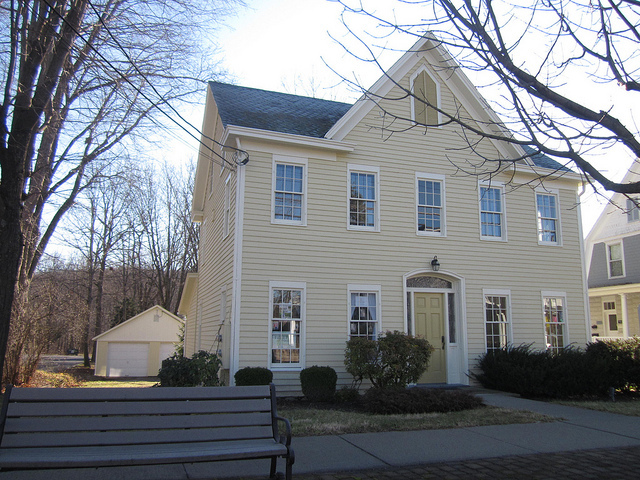 The community encompasses just 2.3 square miles and is served by the New Milford School District and a well-known private fine arts school and gallery for adults and children. The violent crime rate in New Milford is 18.1, and the chance of being affected by property crime here is just .05%. A township in Somerset County, Hillsborough is home to 38,300 residents. The community is the site of Duke Gardens and Duke Farms, a 2,700-acre estate of the former energy magnate family and has been included on Money Magazine’s Best Places to Live list. The violent crime rate in Hillsborough is 18.1, and residents have a .07% chance of being involved in a property crime. 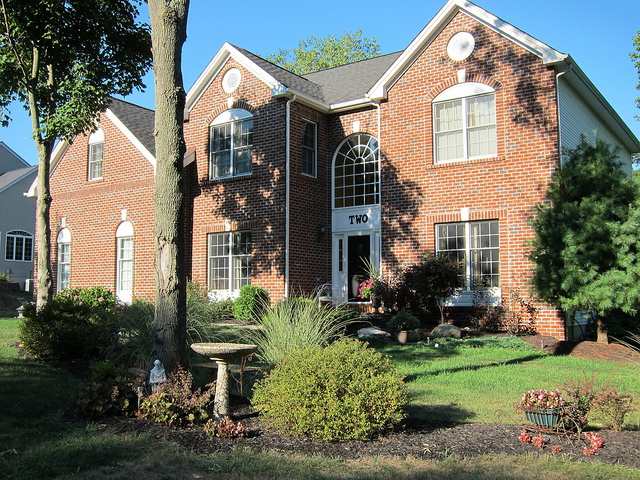 Located in Mercer County, West Windsor is a township that is home to 27,100 residents. 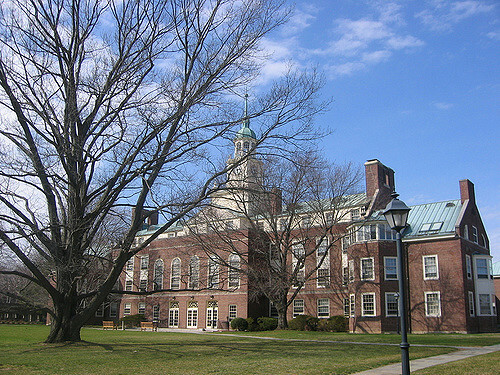 A portion of Princeton University is located within the township, and the community has been included on Forbes list of most affluent neighborhoods in the U.S. Also a safe place to live, the violent crime rate here is 18.3, and residents of West Windsor have a 1.8% chance of being affected by property crime. A township in Somerset County, Bernards is home to 26,600 residents. There are nearly a dozen unincorporated communities here, and the township is the site of several major business headquarters such as Avaya, Fedders, Hitachi Power Systems USA, and Verizon Wireless. The violent crime rate in Bernards is 18.6, and the chance of being involved in a property crime here is just .03%. 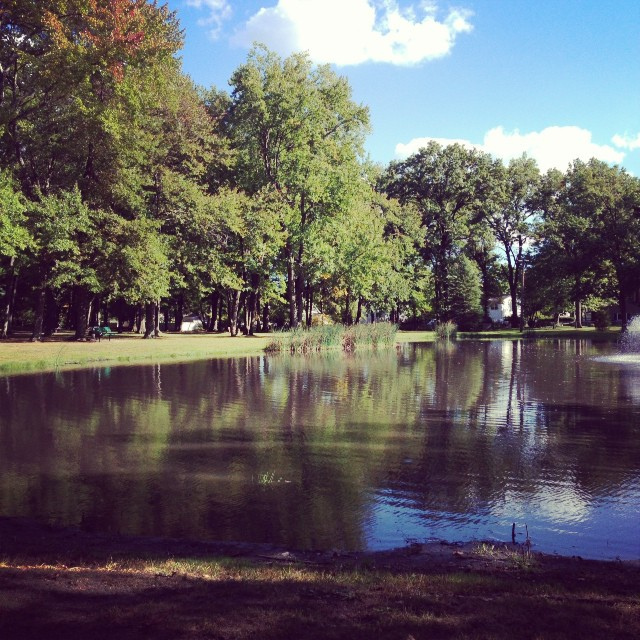 Located in Bergen County, Hillsdale is a borough that is home to 10,200 residents. The community encompasses just 2.9 square miles, has its own emergency services, and is served by two different school districts. Living in Hillsdale is a safe choice, with a violent crime rate of 19.3 and the chance of being affected by property crime here just .07%. A town in Union County, Westfield is home 30,300 residents. Known for its downtown area, which has over 200 retail establishments and 400 commercial businesses, Westfield is a thriving community and also a safe place to call home. The violent crime rate here is 19.6, and residents of Westfield have a .09% chance of being involved in a property crime. 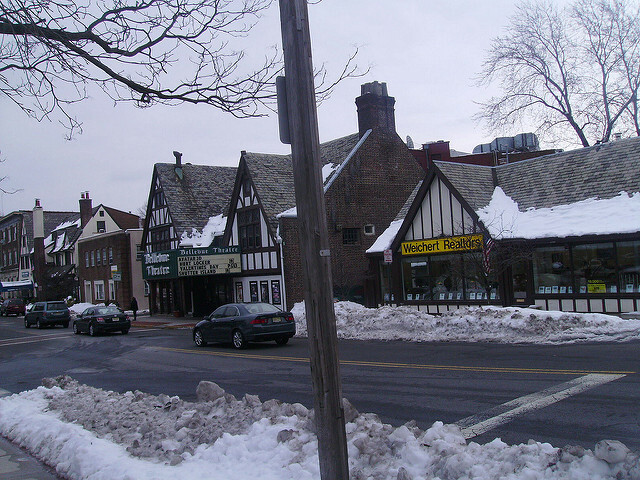 A borough in Bergen County, Tenafly is home to 14,400 residents. 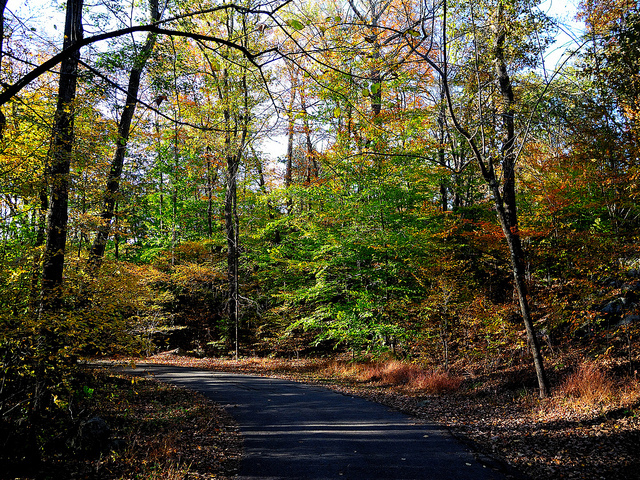 Considered a suburb of New York City, the community overlooks the Hudson River and is known for its 400-acre Tenafly Nature Center. 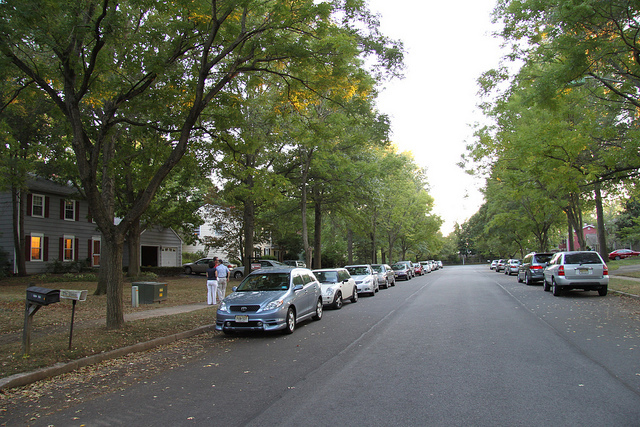 The violent crime rate in Tenafly is 20.5, and residents have a .07% chance of being affected by property crime. 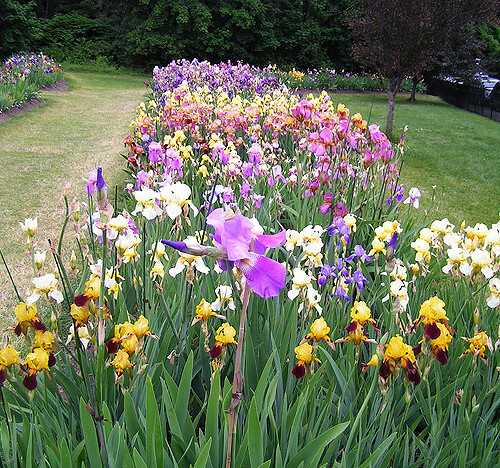 Located in Morris County, Washington is a township that is home to 18,500 residents. The township encompasses 44.7 square miles and is served by both the Washington Township School District and the West Morris Regional High School District. The violent crime rate in Washington is 21.4, and the chance of being involved in a property crime here is just .04%. A township in Middlesex County, Plainsboro has a current population of 22,900 residents. 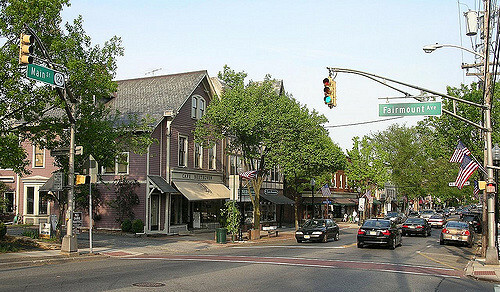 The township borders Princeton and is home to a vibrant historic village area, called Village Center, that features 75,000 square feet of retail and commercial space. The violent crime rate here is 21.5, and residents of Plainsboro have a .07% chance of being affected by property crime. 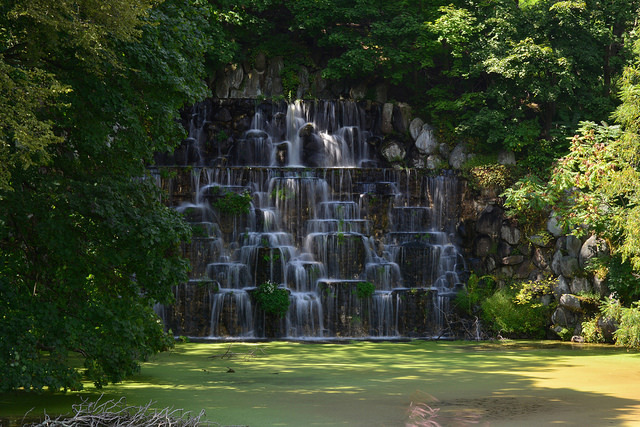 Located in Morris County, Montville is a township that is home to 21,500 residents. The township has been included on Money Magazine’s list of Best Places to Live several times, and it is a safe place to call home. The violent crime rate in Montville is 23, and the chance of being involved in a property crime here is just .07%. A township in Morris County, Jefferson is home to 21,300 residents. 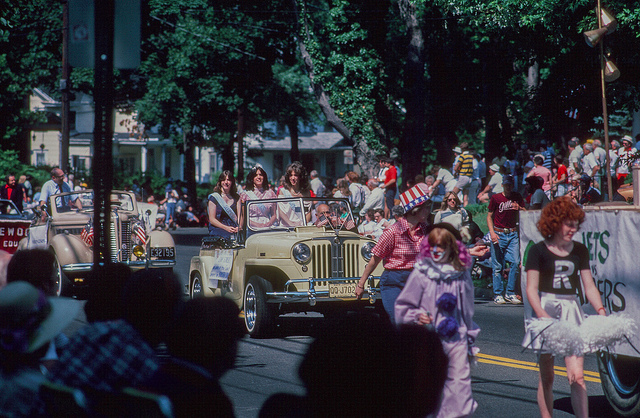 Named after Thomas Jefferson and established in 1804, the community is known for its annual “Jefferson Township Day” that takes place each July. The violent crime rate here is 23.2, and residents of Jefferson have a 1% chance of being affected by property crime. Located in Union County, Springfield is a township that is home to 15,800 residents. 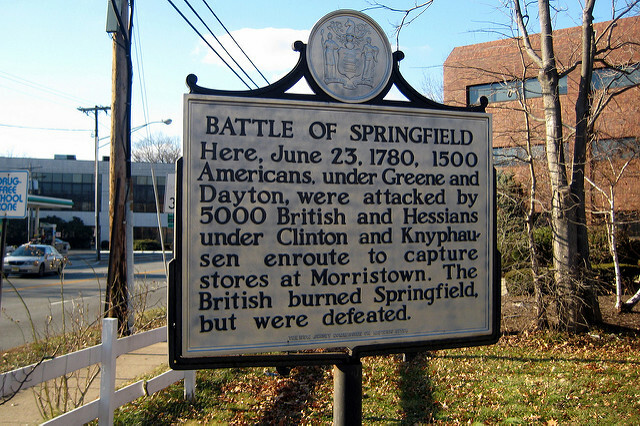 Named for the springs and brooks in the area, the township has been the site of several major golf championships and saw one of the last Revolutionary War battles. The violent crime rate in Springfield is 25, and the chance of being involved in a property crime here is 1.2%. 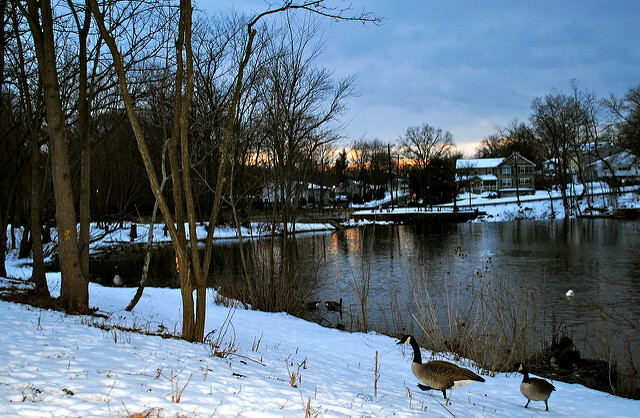 A borough in Bergen County, River Edge is home to 11,300 residents. Located on the banks of the Hackensack River, the community is just eight miles west of Upper Manhattan and is a safe place to call home. The violent crime rate here is 26.2, and residents of River Edge have a .08% chance of being affected by property crime. 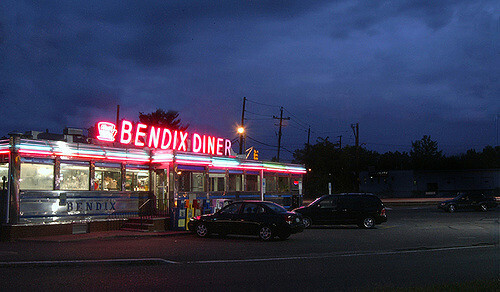 Located in Middlesex County, Middlesex is a borough that is home to 13,600 residents. The community encompasses just 3.5 square miles and is served by the Middlesex Board of Education. Another safe place to live, the violent crime rate in Middlesex is 29 and the chance of being involved in a property crime here is just .09%. 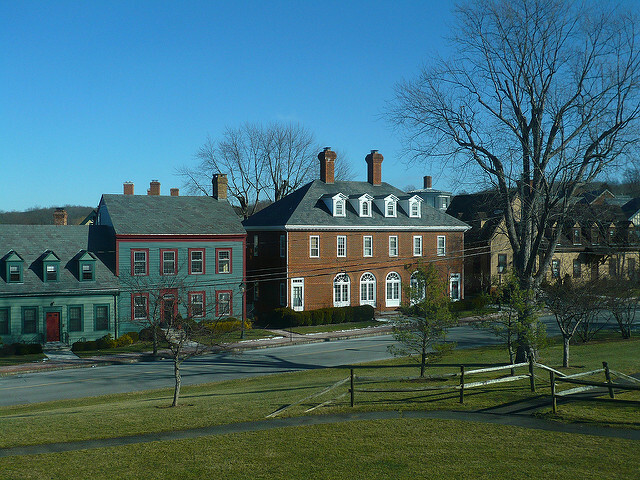 A township in Somerset County, Bridgewater has a current population of 44,400 residents. It is believed that the first official flag of the United States was unfurled here, and the township has developed into a growing suburban community in recent years. The violent crime rate in Bridgewater is 29, and the chance of being affected by property crime here is 1.4%. 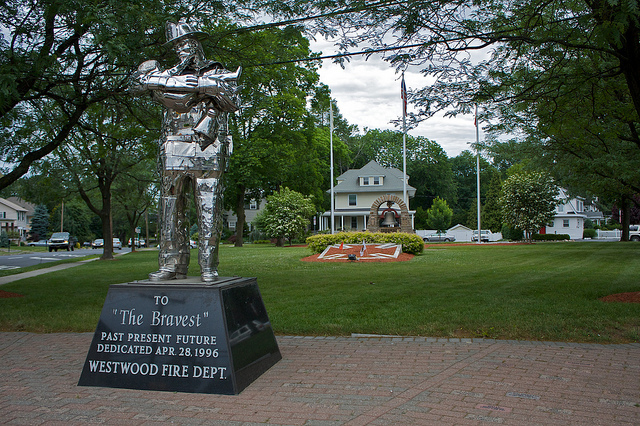 Located in Passaic County, Ringwood is a borough that is home to 12,200 residents. The borough includes several unincorporated communities as well as several private lake communities. The violent crime rate in Ringwood is 32.5, and the chance of being involved in a property crime here is just .07%. 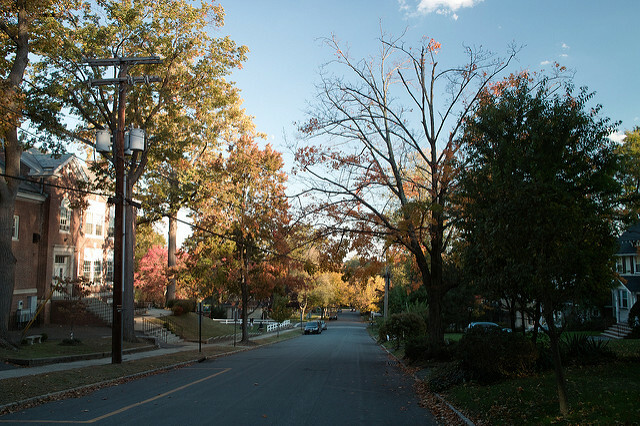 A borough in Bergen County, Hasbrouck Heights is home to 11,800 residents. Located just 10 miles northwest of Midtown Manhattan, the community encompasses just 1.5 square miles and is a safe place to call home. The violent crime rate here is 33.4, and residents of Hasbrouck Heights have just a .05% chance of being affected by property crime. A township in southern Union County, Clark is home to 14,700 residents. The community was named after Abraham Clark, one of the signers of the Declaration of Independence, and includes several unincorporated communities. The violent crime rate in Clark is 33.5, and the chance of being involved in a property crime here is 1%. 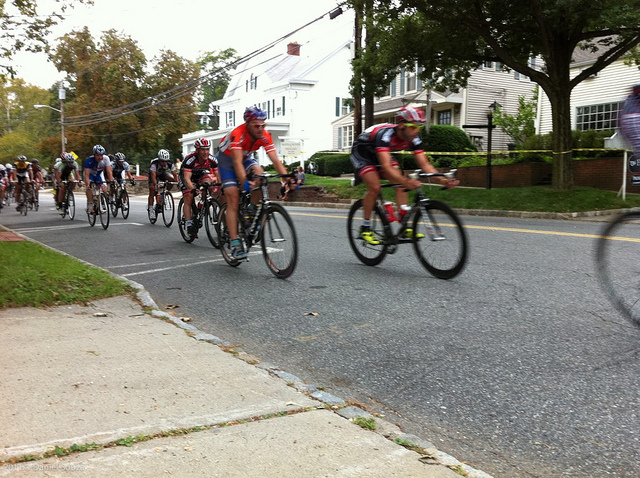 Located in Bergen County, Wyckoff is a township that is home to 16,600 residents. The community encompasses 6.6 square miles and has more than a dozen sites that are listed on the National Register of Historic Places. Living in Wyckoff is a safe choice, with a violent crime rate of 35.5 and the chance of being affected by property crime here just .07%. Located in Mercer County, Princeton is a former township that is now considered a municipality and borough. Home to 28,500 residents, the community pre-dates the American Revolution and is best known as the location of Princeton University, one of the most prestigious private universities in the world. The violent crime rate in Princeton is 36.6, and the chance of being involved in a property crime here is less than 1%. A township in Essex County, West Caldwell is home to 10,700 residents. Just 16 miles west of Manhattan, the township has several unincorporated communities and is served by the Caldwell-West Caldwell Public School District. The violent crime rate here is 36.9, and residents have a .08% chance of being affected by property crime. 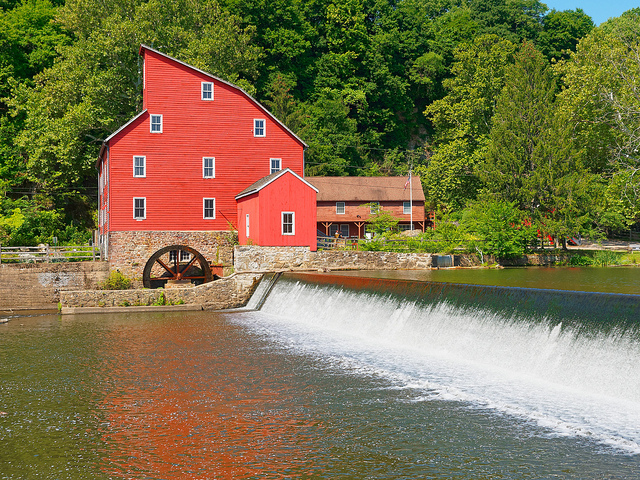 Located in Hunterdon County, Clinton is a township that is home to 13,400 residents. Encompassing 33.8 square miles, the township includes ten unincorporated communities and the Round Valley Reservoir, the second-deepest in the state. The violent crime rate in Clinton is 37, and the chance of being involved in a property crime here is just .05%. 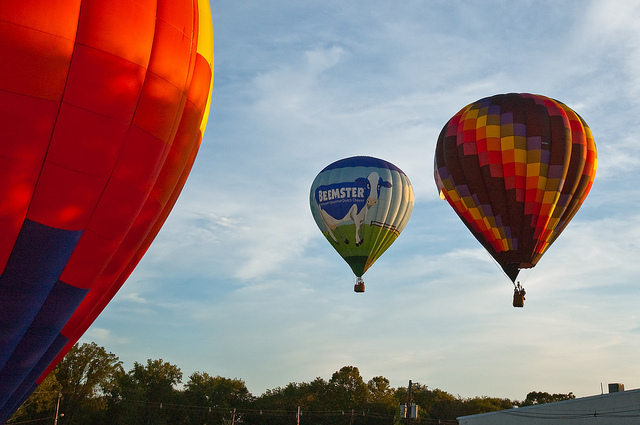 Also located in Hunterdon County, Readington is a township with a current population of 16,100 residents. 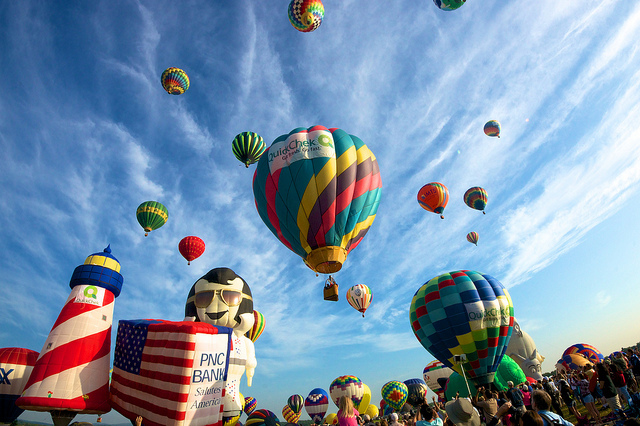 The community is home to the global headquarters of Merck & Co. and a large annual hot air balloon festival. The violent crime rate here is 37.1, and residents of Readington have a .09% chance of being affected by property crime. 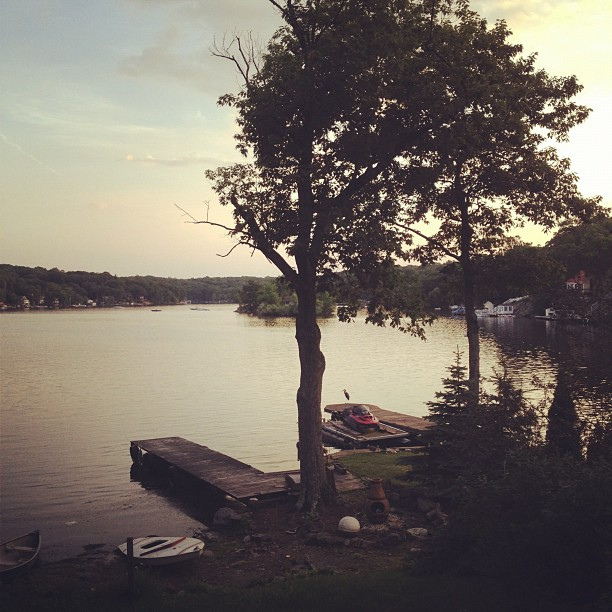 A borough in Bergen County, Franklin Lakes is home to 10,500 residents. Considered an affluent community, it was named by Forbes as having one of the most expensive zip codes in the country. It is also a safe place to call home, with a violent crime rate of 37.3 and the chance of being involved in a property crime here just .08%. Located in Essex County, Verona is a township that is home to 13,300 residents. 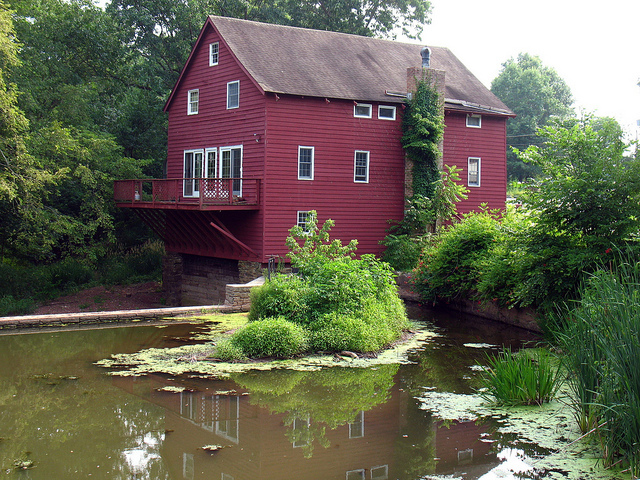 The community lies between the first and second Watchung Mountains and has the Peckman River flowing through its center. The violent crime rate in Verona is 37.3, and the chance of being affected by property crime here is just 1.1%. A township in Morris County, Pequannock is home to 15,400 residents. 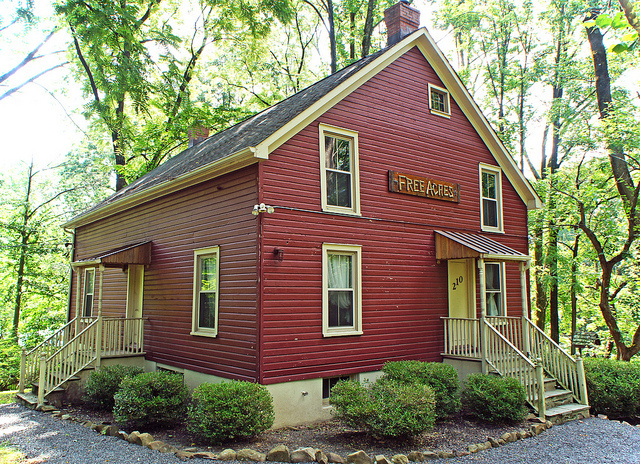 Established in 1798, the community has a rich history in both the American Revolutionary War and the Civil War. There are many historic sites here, and this is a safe place to live. The violent crime rate in Pequannock is 38.2, and residents have a .08% chance of being involved in a property crime. 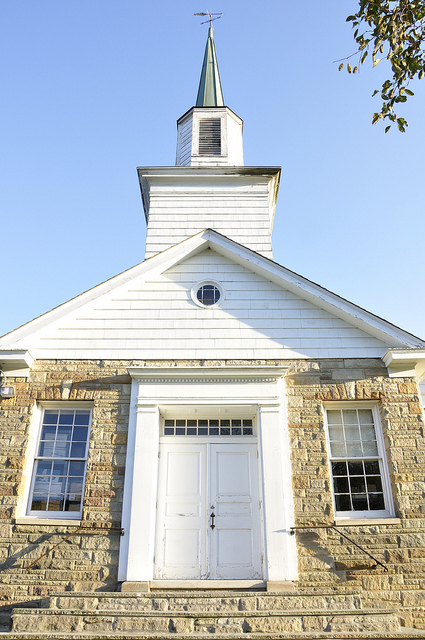 Also located in Morris County, Mount Olive is a township that is home to 28,100 residents. The community encompasses 31 square miles and is served by the Mount Olive Township School District. Also a safe place to live, the violent crime rate here is 38.7, and the chance of being affected by property crime in the community is just .09%. A township in Essex County, Millburn has a current population of 20,100 residents. Located just 15 miles from Manhattan, the community is home to an upscale mall, a 2,100-acre nature preserve, and a popular regional theater. The violent crime rate in Millburn is 39.4, and the chance of being involved in a property crime here is 2.7%. Located in Monmouth County, Marlboro is a township that is home to 40,100 residents. Known for its fossils, recreation opportunities, historic sites, and affluent neighborhoods, Marlboro is a safe place to call home. The violent crime rate here is 42, and residents have a .07% chance of being affected by property crime. 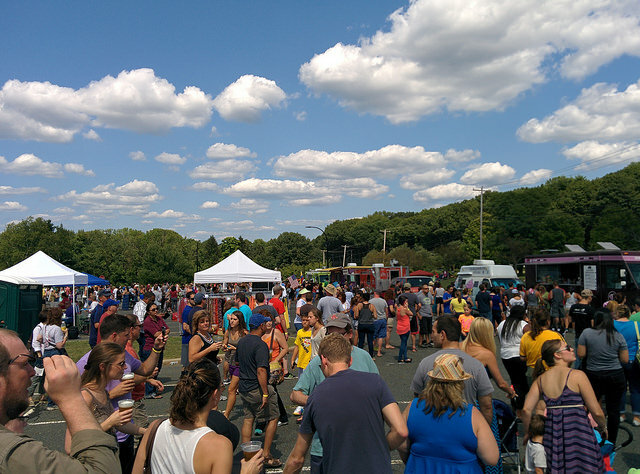 A borough in Morris County, Florham Park has a current population of 11,600 residents. The community is home to the North American headquarters of BASF as well as the main headquarters of the New York Jets football team. The violent crime rate in Florham Park is 42.3, and the chance of being involved in a property crime here is just .06%. 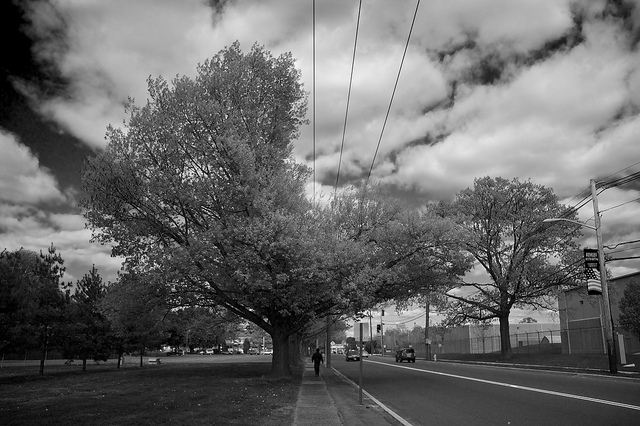 Located in Passaic County, Hawthorne is a borough that is home to 18,700 residents. Named for novelist Nathaniel Hawthorne, the borough encompasses 3.3 square miles and is served by the Hawthorne Public School District. The violent crime rate here is 42.3, and residents of Hawthorne have a 1.3% chance of being affected by property crime. A township in Morris County, Roxbury is home to 23,300 residents. Located 36 miles northwest of New York City, the community has a large regional shopping mall and extensive recreation facilities. Another safe place to live, the violent crime rate in Roxbury is 42.4 and the chance of being involved in a property crime here is just 1.4%. 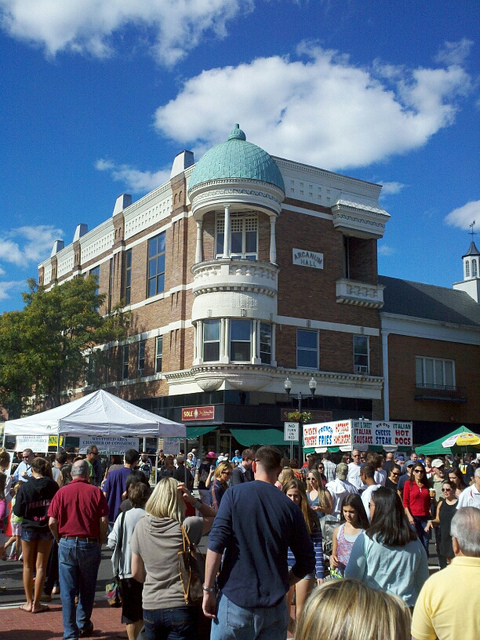 Located in Bergen County, Ridgewood is a village that is home to 24,900 residents. 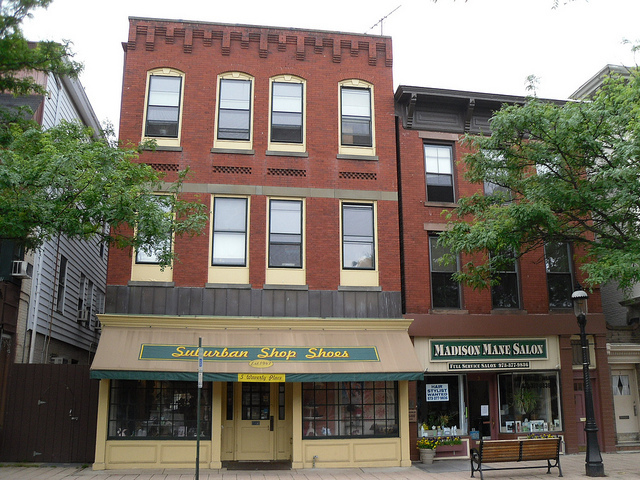 Just 20 miles northwest of Midtown Manhattan, Ridgewood is considered a suburban bedroom community and was included on Money’s list of Best Places to Live in the U.S. The violent crime rate here is 43.6, and residents of Ridgewood have a 1% chance of being affected by property crime. A borough in Morris County, Madison is home to 15,800 residents. Named for President James Madison, the community is known as The Rose City for its early, and booming, rose growing industry. Madison remains a safe place to call home, with a violent crime rate of 43.7, and the chance of being involved in a property crime here just .06%. 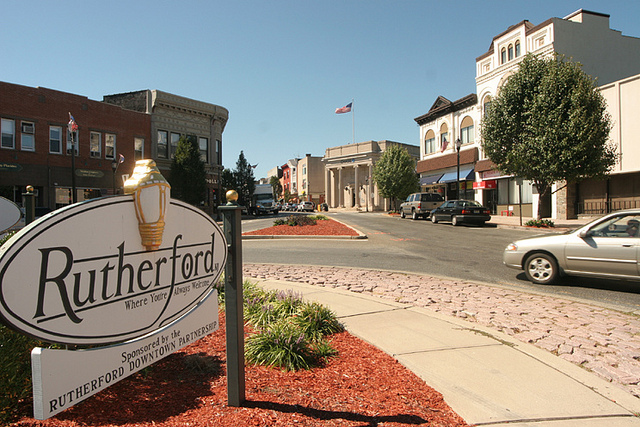 Located in Bergen County, Rutherford is a borough that is home to 18,000 residents. Named for the U.S. 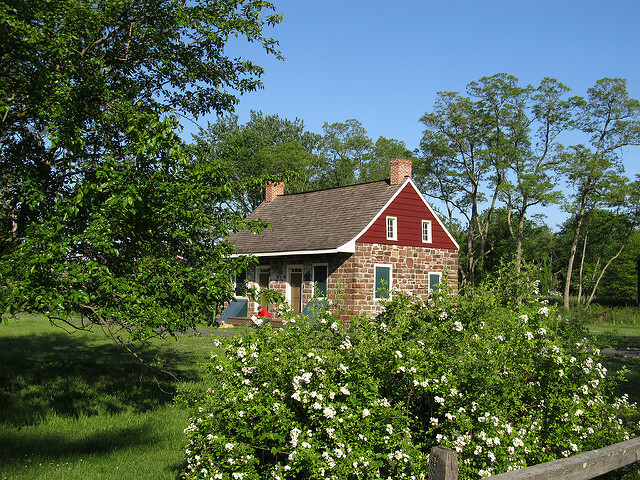 Senator whose homestead was along the Passaic River, the community has been nicknamed “Borough of Trees”. 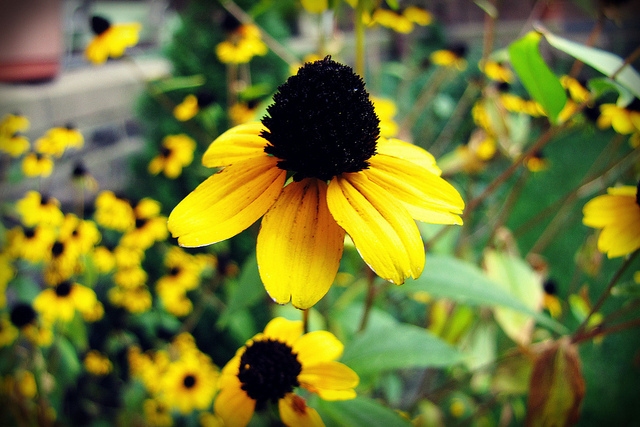 Just 8 miles from Midtown Manhattan, Rutherford is another safe choice. The violent crime rate here is 43.8, and residents have a 1.6% chance of being affected by property crime. Also in Bergen County, Westwood is a borough that is home to 10,900 residents. Another community filled with New York City commuters, Westwood has a rich history and strong infrastructure to support its citizens. It is also a safe place to live, with a violent crime rate of 45.3 and the chance of being involved in a property crime here just .06%. Congratulations Clinton! I’m not surprised that it made the list. I have lived here for over 20 years and raised four children. It is a great and safe place to live. Love this charming town! I can assure you Hawthorne is NOT a safe town. Lived there for a few years before I came to my senses and moved to a much safer town. Cars were constantly vandalized in my own driveway, reports of homeless people attacking kids down by the baseball fields, schools have a terrible bullying problem. Pretty sure these aren’t markers of a “safe” town. Love Jersey. It is so pretty. Grew up there close to Montville in the 70’s. 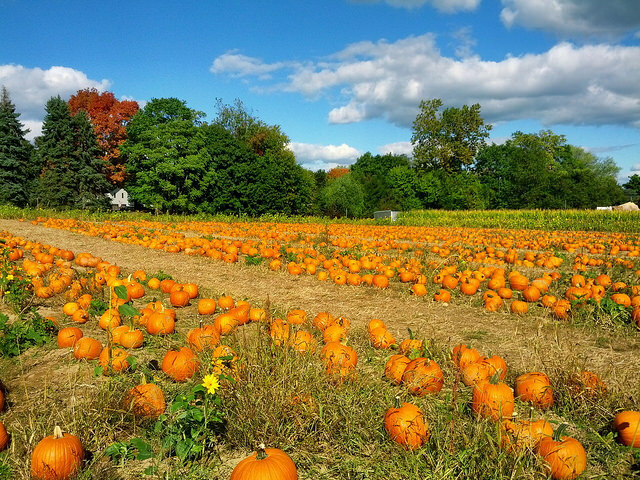 Montville was just farmland, use to go there and get UNOs and pumpkins. Jersey is beautiful, once you are out of the cities. Miss it. Glad I grew up there. I cannot believe there is only one town from south of the Raritan River ( aka South Jersey). 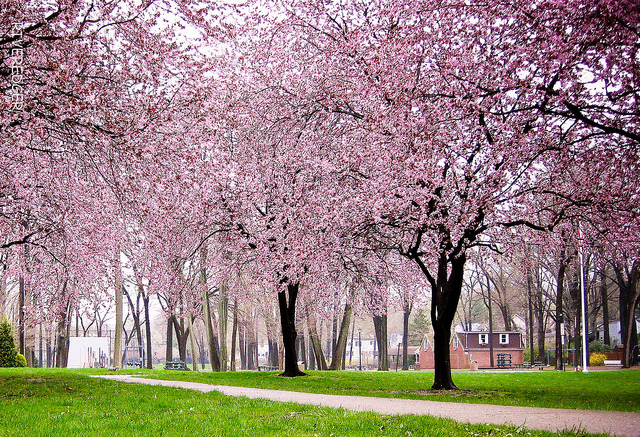 This should be retitled…..50 safest cities in Northern New Jersey. As usual, it’s as if South Jersey doesn’t exist. Washington Township, Morris County has .04%property crime and made the upper part of the list#22. So EVERY safest city in New Jersey is in North or Central Jersey? You Missed My Hometown of Cresskil! My Grandfather Was a early resident.moved there in 1905. My Family is still there. I went to high school in New Jersey (Teaneck) and also lived in Hackensack for two years. Lots of memories. That beautiful high school building off Route 4. It was a great experience. In my Senior year at Teaneck we won the State Championship in football. Grew up in Teaneck, albeit in the 1950’s which I am sure is much before your time. Teaneck was a beautiful place in those days and probably would have made this list. Absolutely THS one of the most outstanding high school structures anywhere. And the education we received was outstanding. Still have relatives in Bergen County and visit often. Love to drive by the school but lament the way the town has gone. THS doesn’t make even the list of the top 100 schools. What a letdown. The title should be “… in NORTHERN New Jersey.” There are many safe towns in other parts of New Jersey. Sloppy and misleading article. And how does New Milford make the top 50, check out their police blotter. I’m in Oradell and in 2016 was named best family city in NJ. Amazing that if it claimed that title, why wasn’t it on the safest list?